Though more and more New Zealand karters have been travelling to Europe to compete in recent years, Douglas, 13, is the first to be invited by the FIA Karting Academy to contest its annual Trophy Series. That’s a very big deal, both for Douglas and the governing body of the sport here, KartSport New Zealand. This year the FIA Karting Academy Trophy series will be contested over three rounds starting at Wackersdorf in Germany in early May before heading to Italy for a second round in June then the third and final one in September (supporting the World Championships for KZ and KZ2). 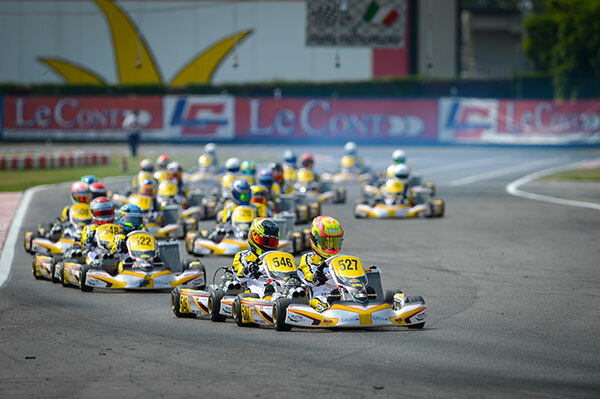 Each year for the past nine years drivers representing what the FIA characterises as ‘the best prospects between the ages of 12 and 14 from over 40 countries around the world’ have battled it out in what effectively is a one-make kart/engine/tyre series aimed at uncovering the next Lewis Hamilton or Lando Norris. One former Academy Trophy series winner whose name will be familiar to New Zealand fans is Toyota Racing Series race and round winner, and 2018 series runner-up Richard Verschoor from the Netherlands, who won the Academy Trophy in 2014. Verschoor will contest the FIA F3 series this year up against Kiwis Marcus Armstrong and Liam Lawson. Despite his tender years, Jacob Douglas is already a veteran of several trips to Europe (and the United States) to race, the two-time NZ Vortex Mini ROK champion leading a four-strong NZ squad to its best finish yet at the annual ROK Cup International event in Italy in October last year. It has been the participation of top kiwi drivers like Daniel Bray in CIK-FIA-sanctioned events in Europe on a regular basis that has paved the way for an official invitation from the CIK-FIA to put forward a driver for the 2019 Academy Trophy Series, and with the acceptance by Douglas and his family of the offer New Zealand will be represented in the series for the first time. “It’s a big commitment, particularly for a 13-year-old, but it’s what Jacob wants to do so as a family we are right behind him,” says his father Craig Douglas. 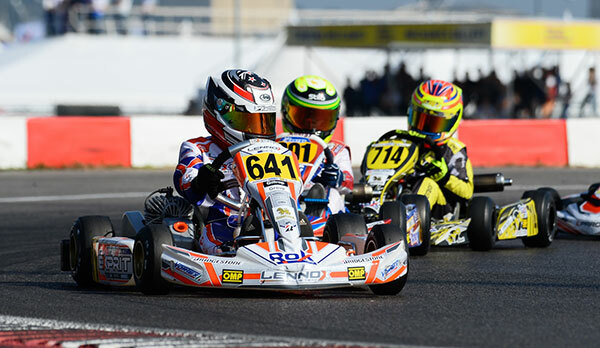 Having already proved he can foot it with the best young Vortex drivers in the world, Jacob says his goal is to establish himself in Europe and he believes that this year’s three-round Academy Trophy Series – in which the up to 50 invited drivers use the same model of OTK kart powered by identical liquid-cooled 125cc Vortex engines (which are swapped between drivers at events) and using the same spec Bridgestone tyres – is just the stepping stone he needs. An added bonus is that the Vortex engine is identical to the Vortex ROK DVS engine recently introduced into New Zealand for Junior and Senior age group competition and Jacob is already clocking up the laps with one here. All the Academy drivers are also provided with identical, custom-made OMP race suits. “I am really proud that Kartsport New Zealand is supporting me,” says Jacob, “It is a great series to introduce me to European Junior racing and I am extremely excited to continue where I left off last year at the ROK Cup with Lennox Racing. I am looking forward to doing New Zealand, and everybody who has helped get me to where I am today, proud.